At Villas at Carlsbad, we have studio, one, two, and three bedroom floor plans to fit the needs of every lifestyle. 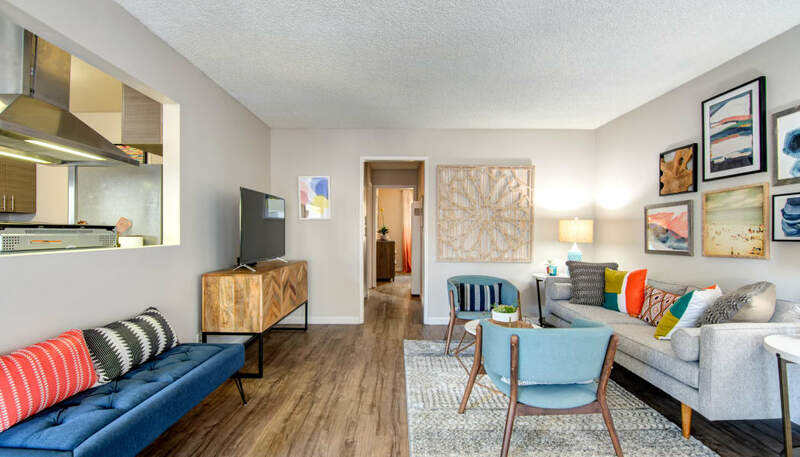 For those that need space for one, our studio floor plans offer 311 square feet of open space living, and our more traditional one bedroom apartments are 500 square feet. For those who are looking for two or three bedroom apartments, we have a variety of sizes, ranging from 675 square feet to 1,100 square feet. Regardless of what floor plan is the right fit for you, you will love having a private balcony or patio in select homes where you can enjoy dinner alfresco. Your fully equipped kitchen includes modern features like wood-style flooring and stainless-steel appliances. Some floor plans offer a cozy fireplace for cooler nights, and all homes come with ceiling fans to keep you comfortable year-round. It’s these luxurious extras that make living at Villas at Carlsbad a beachside dream.